Check out Tobi's Lost Star Earring Set Mix it up with the Silver Lost Star Earring Set. The set includes one pair of sparkling star stud earrings, three faux pearl studs, and one mismatched earring with faux pearls and crystals snaking up the ear to resemble a shooting star. Wear these earrings your way for a quirky look. 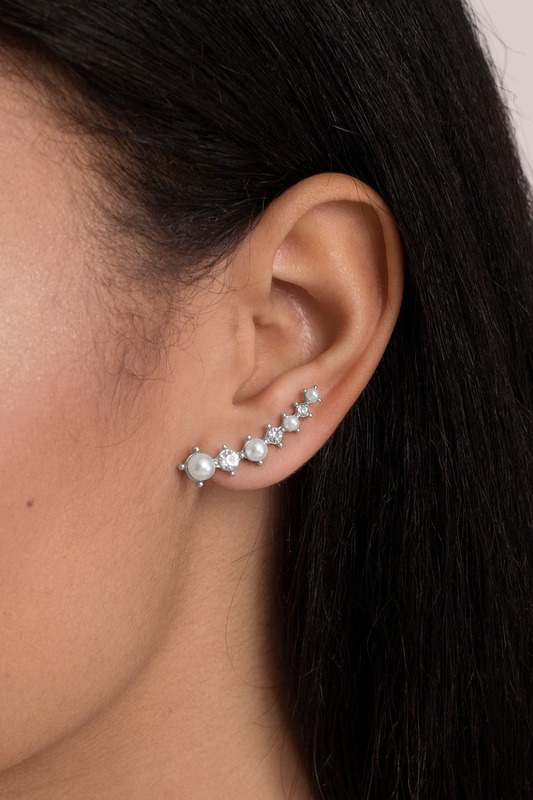 Mix it up with the Silver Lost Star Earring Set. 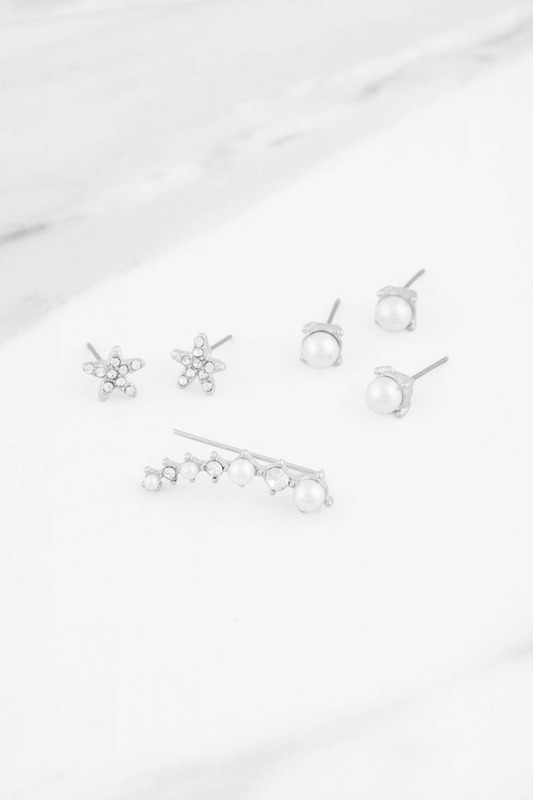 The set includes one pair of sparkling star stud earrings, three faux pearl studs, and one mismatched earring with faux pearls and crystals snaking up the ear to resemble a shooting star. Wear these earrings your way for a quirky look.